Dr B.H. Sripathi Rao, Professor and Head of the Department of Oral and Maxillofacial Surgery is the present Principal/ Dean of Yenepoya Dental College, Yenepoya, Mangalore, Karnataka, India. He has wide experience in Orthognathic surgeries, Facial Trauma, Oral Cancer surgeries, Pathologies and Cleft Surgeries .He has been in maxillofacial Surgery teaching and training program for more than 35 years now with numerous publications and had been invited guest speaker to various international and national forums .He was also an executive member of the Dental Council Of India. Dr. Serap Titiz Graduated from Hacettepe University Faculty of Dentistry in 2002.She started his postgraduate education in 2012 at Ege University Faculty of Dentistry Department of Orthodontics and completed his PhD in 2012. She was appointed Assistant Professor in Orthodontics at Usak University Faculty of Dentistry since 2017. Objective: Many techniques have been used to align cleft alveolar segments and reduce cleft severity in cleft lip and palate patients The Grayson technique is a well-known technique that has undergone several modifications. The aim of this study was to present a new approach to PNAM for bilateral and unilateral cleft lip and palate patients. Radio graphs (X-rays) are necessary for the evaluation and diagnosis of many oral conditions and diseases. Dentists use radiographs for many reasons: to find hidden dental structures, malignant or benign masses, bone loss, and cavities. They are diagnostic, but they can also be preventative, by helping a dentist diagnose potential oral care issues in a patient’s mouth before they become a major problem. An x-ray is a type of energy that passes through soft tissues and is absorbed by dense tissue. 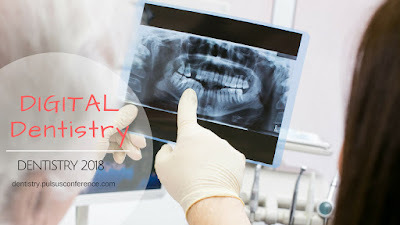 Teeth and bone are very dense, so they absorb X-rays, while X-rays pass more easily through gums and cheeks.X-rays are divided into two main categories, intraoral and extraoral. Intraoral is an X-ray that is taken inside the mouth. An extraoral X-ray is taken outside of the mouth. Intraoral X-rays are the most common type of radiograph taken in dentistry. Tooth discoloration can be the cause of great embarrassment and can make people feel self conscious about smiling .Teeth Stains, also commonly referred to as Teeth Discoloration, is caused by substances sticking onto the surface of your tooth or gathering within and contaminating the enamel of your tooth.Nevertheless, important lifestyle factors also play a large part in tooth discoloration and it is important to recognize these. Gingivitis means inflammation of the gums, commonly occurs because a film of plaque, or bacteria, accumulates on the teeth. Gingivitis is a non-destructive type of periodontal disease, but untreated gingivitis can progress to periodontitis in which the inflammation of the gums results in tissue destruction and bone resorption around the teeth. Periodontitis can ultimately lead to tooth loss. 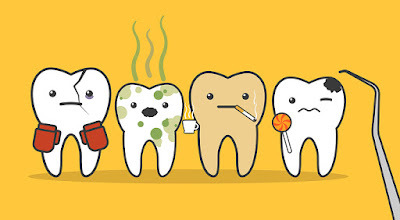 Signs of gingivitis include red and puffy gums, that bleed easily when the person brushes their teeth, Bad breath and Swollen gums.